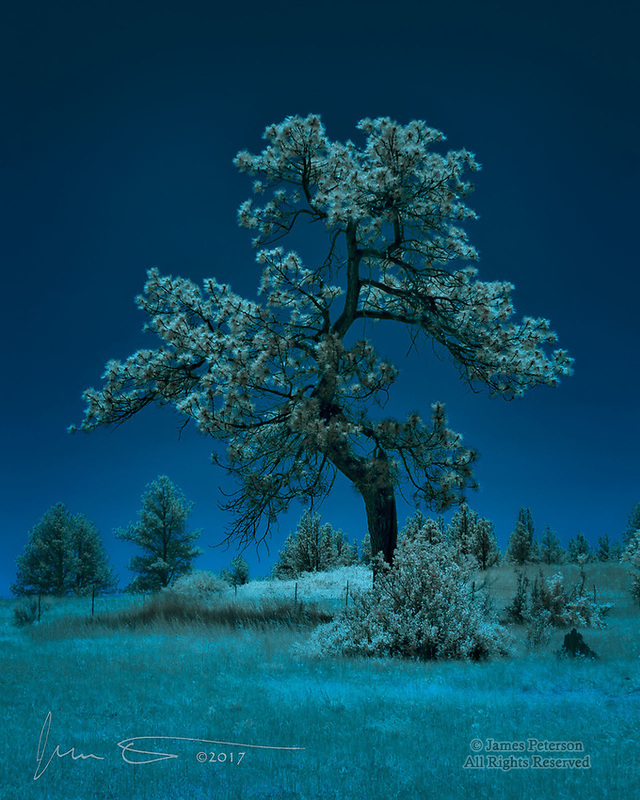 Moon Tree (Infrared) ©2017 James D Peterson. There was something about this tree, on a hillside near Chama, New Mexico, that really spoke to me. Ponderosa pines are normally tall and straight, but this one, buffeted by harsh winters plus, probably, a few lightning strikes, has taken a much different form reflecting its indomitable will to thrive in the face of adversity. Its grace and strength are unmistakable.